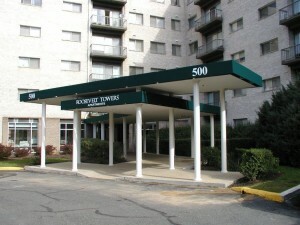 What are some reasons to consider awnings and apartment buildings? Awnings are popular for homeowners and business owners, but what about awnings for apartment buildings? A great way to add major appeal to the exterior and interior of your apartment building is adding beautiful new awnings. Here are some of our favorite reasons you should install new awnings on your apartment building. Looks matter when it comes to attracting new tenants to your apartment building, so in addition to gorgeous landscaping, add awnings to create visual interest and an upscale look. Awnings help to block some of the sunlight and prevent apartment dwellers from squinting in the sun or yanking down the shades whenever the sun shines in, so existing tenants will appreciate them as well! You can choose awnings that match the colors of your property management company, match the personality of the neighborhood, or that pop from the street. Awnings help to protect your windows and the investments you made into your building itself from additional damage. Rain, wind, sleet, and snow can all lead to damage on windows. Instead of leaving your windows vulnerable to the elements, awnings will keep them drier and away from the strongest effects of storms. Getting the word out about your apartments is critical to keeping them full of quality tenants. Awnings on your apartment building are the perfect place to advertise the name of your apartment building, the address, and even your web URL for those walking by to see. If you have a logo, an awning is the perfect place to put it. You can choose a color that coordinates for an easy branded look that adds curb appeal and will attract new tenants. If you don’t want to put awning on top of individual apartment windows, put awnings on the lower level to protect the entrance and still get the word out.